A beautiful, exposed day hike to the summit of Vermont's highest peak. On average this hike takes 3-5 hours to complete. 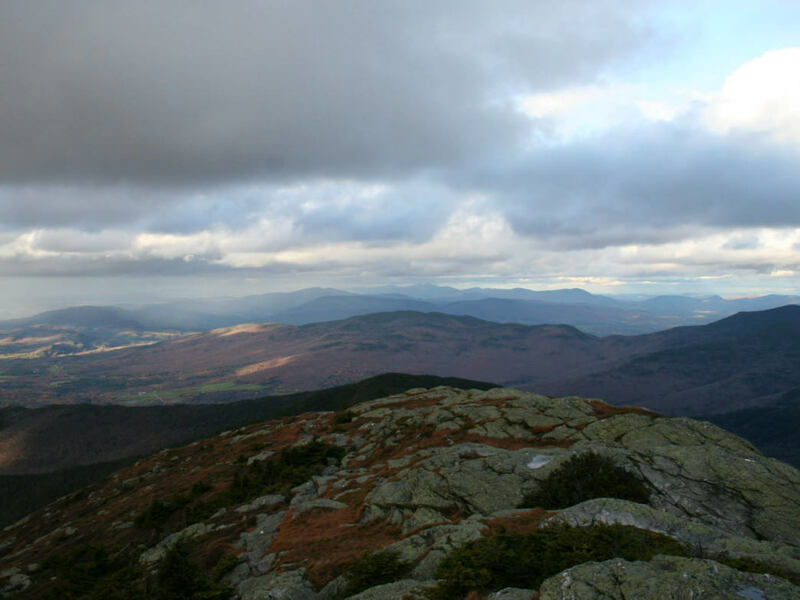 One of the most popular hikes in the Burlington area is moderately strenuous hike up the Sunset Ridge trail to the summit of Vermont's high point: Mount Mansfield. Located less than an hour from Burlington, Mount Mansfield is easy to plan into an afternoon or morning without taking up the whole day. For a short hike, the Sunset Ridge is surprisingly breathtaking. The lower trail moves beautifully through the trees and features a 0.2 mile side trip to Cantilever Rock about 0.7 miles from the trailhead, which provides views and a nice spot to rest in the sun, as well as an interesting rock formation. The trail climbs out of the trees and onto a rocky exposed ridge with spectacular views of the Adirondacks and the expansive slopes of the mountain itself. The trail combines with the Long Trail a short 0.2 miles from the summit before opening up to an unobstructed, 360 degree view. Views of the Green Mountains, including Camel's Hump, trail off to the south, while the Adirondacks tower over Lake Champlain to the west. The spider-like ski trails of Stowe resort can also be seen on the eastern slope of the mountain. For such a short, accessible hike Mount Mansfield via the Sunset Ridge trail offers big rewards! There are multiple trails to the wide summit ridge of Mount Mansfield, but the Sunset Ridge trail is the most accessible and well traveled. The 3.3 mile trail begins on the CCC road, reaching the Sunset Ridge trailhead after one mile. The trail then winds through peaceful woods and over quaint bridges, before emerging onto an exposed rocky ridge that provides constant views as it advances toward the ever visible summit cone, called "The Chin." The incredible scenery on the Sunset Ridge trail makes this short hike one of the most endearing. Hikers, families, couples and photographers will enjoy this hike. If you are visiting town for a few days and want to go on a worthwhile hike that won't take up your entire day or you want to visit the highest point in the state, this is a great hike that won't take up your whole day. 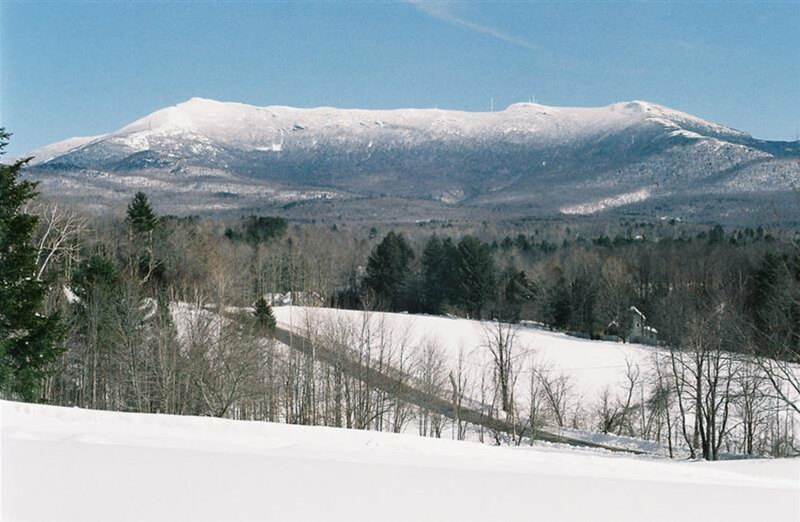 Mount Mansfield is a perfect vantage point to see the beauty of the surrounding area and enjoy the natural beauty of Vermont! Parking is available at Underhill State Park, but the main lot fills up quickly on weekend days.if the lot is full you can park along the side of Mountain Road. From the parking area, follow signs for the Sunset Ridge trail up the CCC road to the trailhead. The trail is well marked and well traveled, but keep track of the signs along the route to ensure that you don't end up on a different trail to the summit.